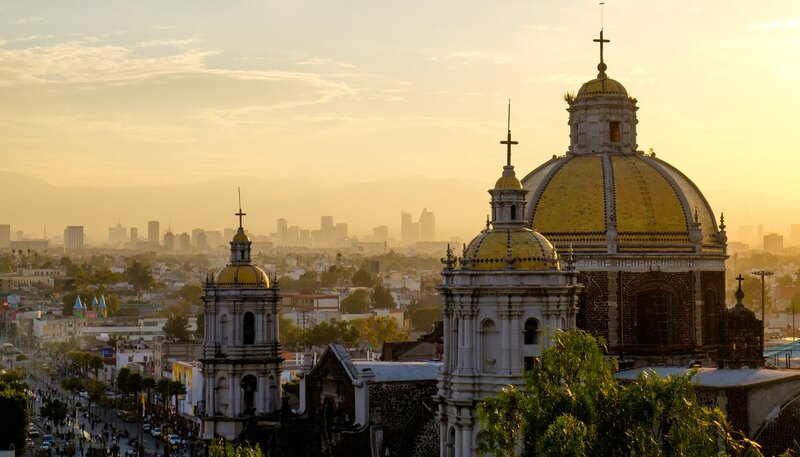 Mexico City's varied food scene comprises a mouth-watering mix of cosmopolitan influences, from bistros, diners and international fast food chains to simple local cuisine. Unless in a major hotel chain, expect to pay the bill in Mexican Pesos. These prices are for a three-course meal and a bottle of house wine, including tax but excluding service. Mexico City restaurant prices are subject to 15% VAT (Value Added Tax). 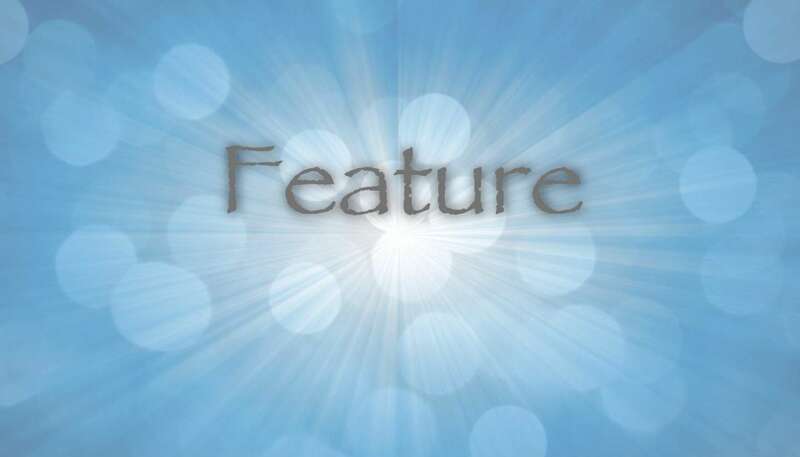 A tip of 10-15%, depending on the quality of the service, is customary. This fashionable 24-hour bistro in the Hotel Presidente Inter-Continental has been a hit with Mexico City's beautiful people since it opened. Modelled closely on the Parisian original, the restaurant offers sumptuous seafood platters, including oysters and lobster, as well as steaks, pigs' trotters and snails prepared by French chefs. The chocolate profiteroles are delicious. Décor is art nouveau and the service is pleasant. An extensive wine list is available. This upscale foodie extravagance owes much to its executive Chef Alejandro Heredia Resendiz, one of Mexico City's most celebrated gastronomic talents. Located in the heart of Polanco, the Hacienda de los Morales is a favourite with a star-studded clientele who flock to this grand 16th-century colonial mansion and its torch-lit beamed dining room. Expect top-notch fusion cuisine and impeccable service delivered to the sound of soothing piano music. Understated, elegant surroundings characterise this excellent European-style restaurant in Mexico City where French cuisine has been attentively served for almost 30 years. Housed in a grand chandelier-decked mansion with an attractive plant-filled patio on the ground floor, Les Moustaches also has stylish second floor private rooms for banquets. Expect sublime flavours using fresh, sumptuous produce such as the restaurant's famous mussel soup, duck à l'orange and spectacular pistachio soufflé. Diners overlook a pleasant leafy courtyard in this former Mexico City hacienda where a Euro-Mexican menu is served in relaxed style. 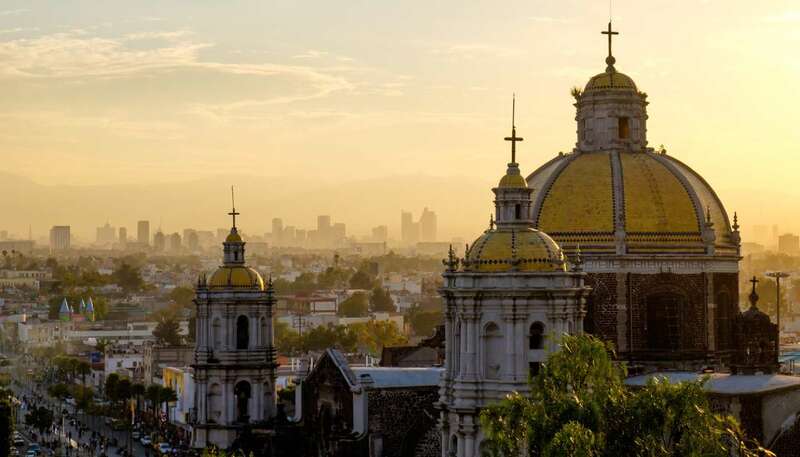 Situated in the southern colonial district of San Angel, the restaurant's signature dishes include trout, skewered prawns and crepes with huitlacoche (corn fungus, a Mexican delicacy). The margaritas are some of Mexico City's finest. Owned by high-profile TV chef Martha Ortiz, this chichi food joint has sent fireworks through Mexico's City culinary scene. In stark contrast to the elegant, minimalist style of the dining room, the food is jam-packed with flavour and fun, from Ortiz's trademark margaritas made with black volcanic ash to the arty fideo-en-mole (vermicelli sautéed in spicy black mole). Chef Ricardo Muñoz Zurita trawls kitchens country-wide to seek out unusual traditional Mexican dishes which he then re-creates in his refectory diner. Though his four seasonal menus include special dishes that can bump up the cost, a daily three-course lunch menu is a highly affordable option - and a popular student choice. For upmarket, nouvelle Mexican cuisine in comfortable and beautifully decorated surroundings, Los Naranjos takes some beating. Set within the heart of Mexico City's Polanco district, it provides a creative take on traditional Mexican cuisine to offer beautifully presented signature dishes served with true aplomb, such as tequila-marinated shrimps with ancho chilli and prickly pear, chicken rolls with curd cheese, and fried plantain with a red mole sauce, and, for dessert, guava stuffed with guanabana mousse. The speciality of this friendly Mexican food haunt is the delicious selection of cocktails with the sweet and sour Margarita made from tamarind juice famous city-wide. Expect a great Mexican ambiance and excellent Mexican food in this deservedly popular Mexico City restaurant where diners range from business people to tourists and locals. Special banquet evenings provide a great excuse to try an array of different dishes to the rousing sound of Mariachi music. Since first throwing open its doors in 1912, this Mexican institution in the Centro Histórico has become one of Mexico City's legendary food joints. Not only is it a great place to chow down on tasty Mexican fare, but it is also a feast for the eyes, with painted archways, colourful tiles, stained-glass windows and brass lamps. Choose from inexpensive tostadas, enchiladas, chiles rellenos, tamales and mole. The restaurant sponsors Mexico's popular rock band of the same name - so keep your eyes peeled for low-key celebrity diners. Finding an Indian restaurant in Mexico City is extremely difficult. However, this authentic Indian diner in north Mexico City is the real deal for curry lovers and serves delicious, richly-flavoured dishes with lightly spiced fluffy rice. A bright and clean décor features a glass-fronted kitchen, thus allowing diners to watch chefs at work. Choose from a menu of meat, chicken and vegetarian options that include tandoori special dishes, breads and chutneys. Mexico isn't blessed with an abundance of veggie options so this is busy all-day-long. Located on bustling Avenida Insurgentes, Saks has vaulted ceilings and medieval wall-paintings and is renowned for its fresh exotic fruit juices and enormous portions of healthy food. A menu combines Mexican and international dishes such as a huge house salad of artichokes, palm hearts, asparagus, portobello mushrooms and feta cheese. Another favourite is squash flower, nopal cactus and mushroom chilli, a hearty offering seasoned to taste.